Wildflower was founded as a purpose-driven, mission-centered organization. From the very beginning, we have focused on growing healthy families by using mobile technology to connect consumers to their healthcare. Along the way, we’ve created a truly special culture where people come to work to make a difference, not just a paycheck. But last year, we noticed something was missing from our mission. We have always been a charitable company, but we didn’t really have a charitable partner, a cause we could support at a strategic level. So, we began searching for the perfect nonprofit. That search led us to Raphael House, a San Francisco-based nonprofit that helps low-income families and families experiencing homelessness strengthen family bonds by achieving stable housing and financial independence. 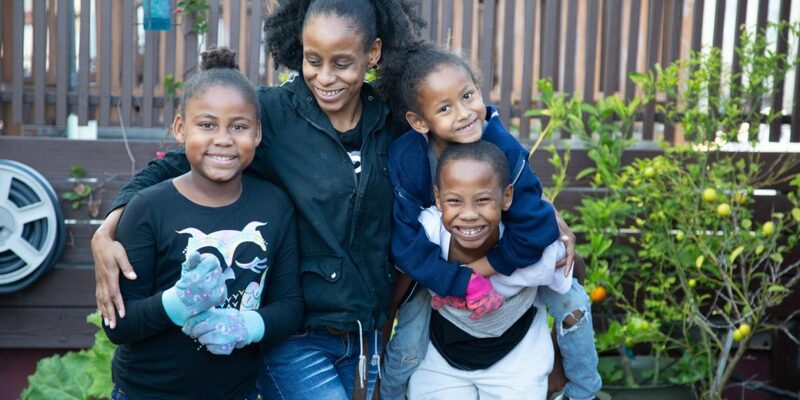 Since 1971, Raphael House has been at the forefront of providing homeless and low-income families in the Bay Area the personalized family-centered solutions they need to build brighter futures. The organization’s success rate is unmatched: more than 85% of all Raphael House families go on to achieve long-term housing and financial stability. Our team brought a lot of worthy candidates to the table in this process. But Raphael House rose to the top of the list. Their focus on helping and healing families was powerfully aligned with our company’s mission. They were neighbors to our corporate headquarters, and there were many ways for our team to get involved by volunteering in addition to providing financial assistance. You’ll hear more about Raphael House and our partnership. We are so excited about helping this amazing organization do more good in the year ahead. But we also know that being involved with Raphael House will improve our company’s culture and keep us focused on being purpose-driven in all that we do.